Ranch style home in desirable neighborhood. 3BR + 2 BA approx 1661 SF on 7734 SF lot. 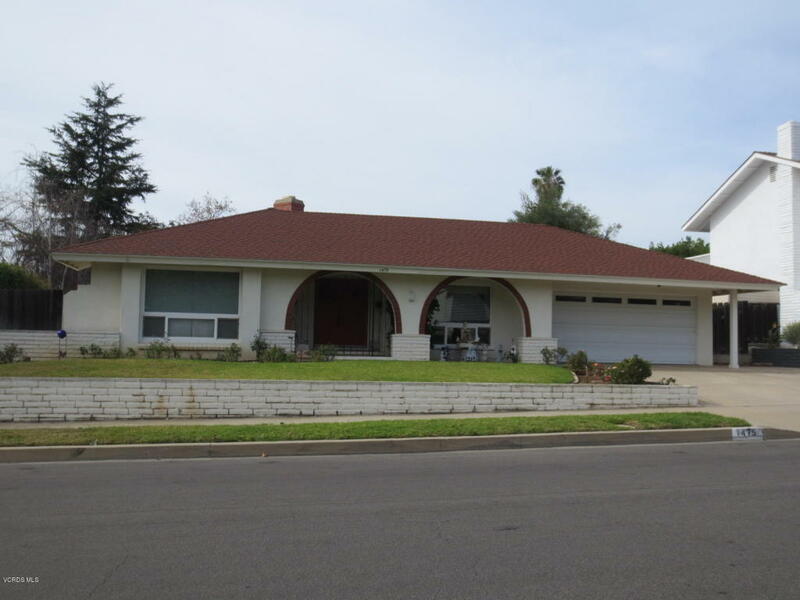 Camarillo Heights home ready for first time home buyer or investor. Separate living room, family room, and formal dining room. 2-sided fireplace. Dual paned windows throughout. Private backyard with covered patio. Mountain view.